Getting comfy and flexible with the founder of the Utah performance apparel line. Gavin: Hey Nicole, first thing, tell us a little bit about yourself. Nicole: I grew up in West Jordan, Utah. I have danced competitively for about nine years. I’m 24, even though most people think I look 18, and I am the owner of Dancer ID. Gavin: How did you get into art and what were your main interests growing up? Nicole: Growing up, my main interests were dance, traveling and entrepreneurship. I've lived in Utah my whole life and have always loved the outdoors lifestyle we have here. I love traveling and have been to a lot of different places both in and outside of the U.S., but Utah will for sure always be my home. I've always been drawn to all different forms of art, mostly dance, photography and graphic design. In school, I took a lot of art classes, they were interesting and comfortable to me. I’ve never been super focused when it can to academics, so art was kind of my way out, I guess. As for work, I always tried to avoid working a job I hated, so I would try to sell things here and there on Etsy and other similar sites. Gavin: When did you get involved with dance, and how has it been for you performing? Nicole: My sister started taking dance classes when I was in 5th grade, and, of course, being the younger sister, if she was doing it I was too. I competed in competitions with my dance studio for about six years. I was a part of the West Jordan High Dance Company for two years after that then I took random dance classes here and there at USU. I’ve always loved performing. Dance has always been something I’ve enjoyed doing, it’s been my therapy and allows me to get away from my everyday problems. I think it’s something that can never be perfected and pushes you to be continually learning and growing. I was pretty quiet growing up so it was a way to express myself without having to say anything. It’s also an amazing workout for your body I try to keep in shape, but I hate running so dance was a way for me to keep in shape while doing something I loved. As a dancer it’s hard to explain in words why you love it, you just do. Gavin: What made you chose USU, and what was their program like for you? Nicole: I've always heard really good things about USU, and I wanted to move far enough away from home that it made sense to move out but wasn't too far away from family, so I could visit often. I loved the college atmosphere there, but I really wasn't positive about what I wanted to major in, so college was really hard for me. I bounced around a lot with different majors and got really behind, so ended up settling for a Bachelor of Science in Art so I could make use of all my art electives. I’ve always wanted to work for myself, and loved the idea of owning my own business, so when I saw a poster on campus for a minor in entrepreneurship, I started the program right away. Gavin: How much experience did you have in designing clothing prior to forming Dancer ID? Nicole: No experience. I mean I took some sewing classes in high school and made a few things here and there but never really anything great. I’ve always been really picky about my clothing, so the idea of making my own apparel was something that interested me. 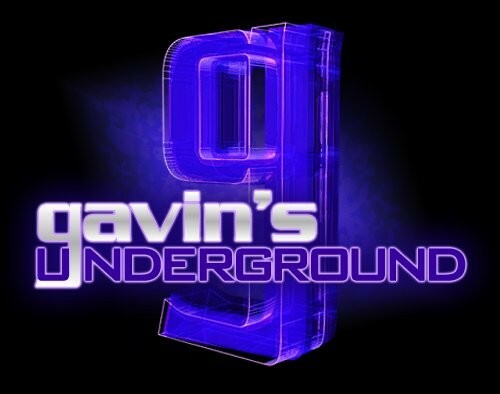 Gavin: How did the idea for the business come about, and where did the name come from? Nicole: I came up with the idea while I was at USU taking classes for my minor in entrepreneurship. While I was in college I didn't do much with dance other than taking a few classes, and I started to realize how much I missed it. I was never a huge fan of teaching or choreographing, so I was trying to figure out ways that I could be involved with the dance world but not have to be a teacher. Since I was really picky and unsatisfied with a lot of my dance apparel, I decided to put the two together. 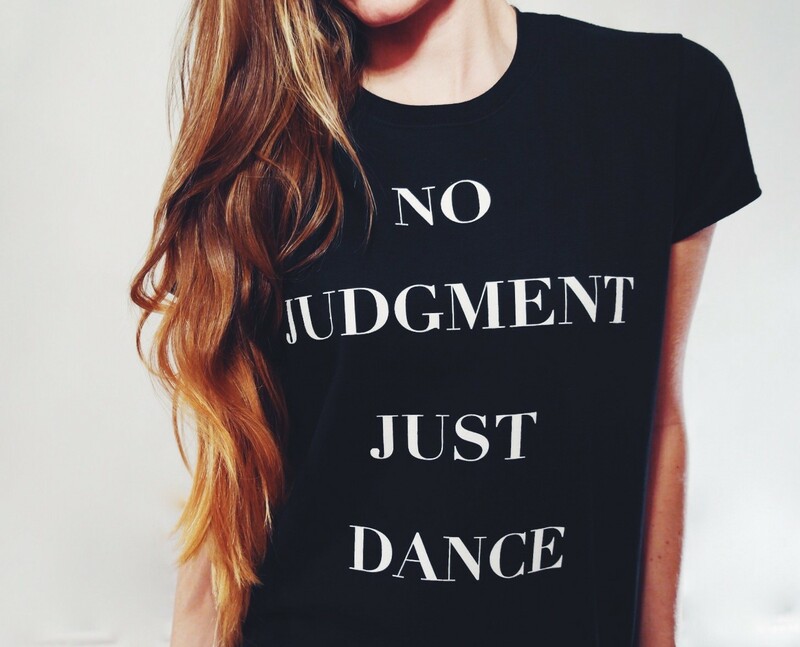 A lot of dance apparel companies just sell plain dance attire, which is great for dancers to wear to auditions and studios where they have strict dress codes, but other than the cheesy dance tanks there isn’t a lot of attire for dancers that are fashionable, that they can wear in and outside of the dance studio. I was getting sick of all the tanks that said “keep calm and dance on” and I wanted to create something that was more personable for dancers. I named the company Dancer ID because I wanted to create a brand of apparel that was for dancers, but that would also be a way for them to express themselves and their passion for dance. I liked the idea of creating an identity, something that they could see and immediately recognize or create a connection with. People love clothing that connects with their interests; it gives them a way to relate to the product on a deeper level, and I wanted the name of the company to do just that. Gavin: What was the process like for you in designing these types of clothes? Nicole: I researched a lot of different dance apparel companies and tried to think of apparel that was different from what was already available. I wanted it to connect fashion to dance, so I added dance terms and phrases to the apparel. I wanted to focus on clothing that you can and would wear every day and not just in the studio. Since I took graphic design classes in college, I was familiar with the creative process, and I was able to work on a bunch of different ideas I had and create items that I thought would work best for the company. Gavin: What kind of materials do you look for when fitting for a dancer? Nicole: Dancers move a ton, so it’s important to have clothing that allows them to move freely and comfortably. I try to use fabrics that are breathable, flexible, comfortable and fashionable for everyday wear. Comfort is a big thing for me, so making sure the designs are comfortable for everyday wear and allow the flexibility for movement are very important. Gavin: How did you go about deciding the different phrases and logos found on each item? Nicole: I didn’t want to do anything too cheesy, so I tried to keep them really simple. I also wanted the designs to be something that could relate to all different age groups while keeping the connection to dance. As for wanting to create a brand, it was also important to create items with the name of the company on them, such as our Dancer ID leggings. Gavin: What was it like for you when you first rolled out your inaugural line? Nicole: Terrifying. I really had no idea what I was doing, so I didn’t even really tell my family or friends because I was scared it was going to be a complete disaster. I’m really critical when it comes to my own work, and due to being on a really tight budget, I wasn’t overly impressed with what I had available. It wasn’t exactly how I wanted it to be, so I was really embarrassed to tell anyone. I knew I had to start somewhere, so I was just hoping that what I had at the time was going to be good enough to grab some attention. Gavin: What has the response been like from dancers, both local and national? Nicole: It’s been really positive. Since I have an online store I’ve been able to reach audiences all over the U.S. and a few other countries. I mostly use social media for marketing so being able to reach a number of different audiences all around the world has been a huge help. Also, Utah is a great place for entrepreneurs so I’ve been able to sell my clothing at a couple of local dance competitions and art venues. Gavin: As you've progressed, what have you done since starting to improve the line? Nicole: We're working on making apparel that’s more custom. Instead of just buying wholesale clothing from retailers and printing our design on them, we are moving toward creating custom pieces. We also want to add other items to the line, such as dance bags and accessories, to give our store more variety. Gavin: Are there any other areas of clothing you'd like to add to the catalog in the future? Nicole: Of course! I have a million different things that I would love to add to the line, but since we are still very new, our budget is really tight. I’d love to add an inspiration line with apparel and dance items that help you feel empowered and inspired to keep on dancing and training. Dance is very a competitive art form, and it’s important to feel confident and continually motivated. Gavin: What can we expect from you and Dancer ID going into next year? Nicole: We want to get our designs into a couple of stores so our clothing is more directly available to our dancers. Also, I’m hoping to be able to work more closely with the creative design of our clothing and creating pieces that are more custom and form fitting. As for right now, creating more everyday fashionable items such as tanks, sweaters, and tops are in the main focus. We are also redesigning some of our current pieces to have a new look and add more variety to our line.